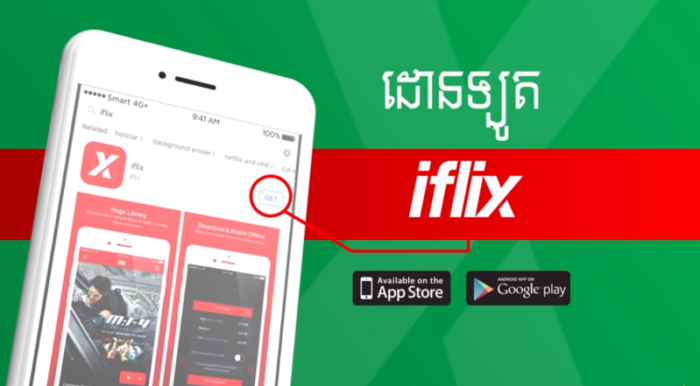 iflix has partnered with beIN Asia Pacific to bring the Barclays Premier League (BPL) and Spanish LaLiga to iflix subscribers in Cambodia. Through this partnership, Premier League and LaLiga will now join iflix’s collection of live sports offerings. Current offerings include the World Cup Russia, Football Malaysia, the Nidahas Trophy, Go-Jek Liga 1, T10 Cricket League, and the Floyd Mayweather and Connor McGregor fight. There are plans to broadcast the Olympics and NBA on Kwesé-iflix in Africa in 2019 and onwards. The move is effective 10 August 2018 and will see subscribers being able to enjoy the action live via the new 24-hour beIN SPORTS 1 and beIN SPORTS 2 channels on iflix. Additionally, same-day match highlights for LaLiga and Ligue 1 games will be available to users in Cambodia, Indonesia, Malaysia, Thailand and Brunei for free. Similarly, highlights for Premier League games will be available for users in Cambodia, Indonesia and Thailand for free. “Six months ago, when we set out to bring Malaysia football back to the Malaysian people, we committed to delivering the best live sports mobile streaming experience possible through significant investment and development of an all new live streaming hub and infrastructure […]. Our partnership with beIN is a testament to the ongoing commitment,” Mark Britt, iflix co-founder and group CEO said. “Football is one of the country’s most popular sports and our goal is to make beIN SPORTS’ content highly accessible to local fans and fuel their passion for the beautiful game. We look forward to working alongside iflix to deliver the best sports experience to our viewers in Cambodia,” Mike Kerr, beIN’s managing director for Asia and ANZ said. Here's who won the account. ..
With more global brands placing headquarters in Singapore, it is becoming a decision-making centre for many brands. But how does t..
McDonald’s SG and UberEATS join forces: Future of McD’s delivery uncertain? "The ease of the UberEATS app will complement our existing 24-hour McDelivery platform.".. Integrated Strategic Communications (ISC) explains the concept behind 'Ka Fan', Bernas’ Chinese New Year commercial this year. ..